Custom designed for your precious Garmin Fenix 5 / Forerunner 935 GPS only, not fit Fenix 5X / 5S!!! 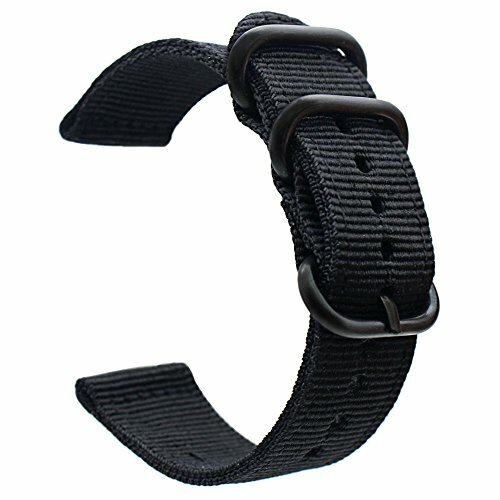 *Top Woven Nylon Watch Straps with the buckle, making fastening simply and securely, prevent loosen automatically. * Simple and easy to install and remove, tools included in the package. * Widely Use :Great for outdoor sports / business / parties / shopping ,ect. Band can be installed onto Garmin Watch Lugs(not included) on both ends precisely and securely. Easy and direct installation and one button removal. Adjustable size fits for 5.5"-8.0"(140mm-205mm) wrist. Package contents: 1 x Nylon Replacement Watch Band, 2 x Pin Removal Tools. Lifetime warranty. any questinos, don't hesitate to contact us.